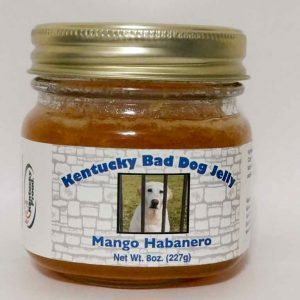 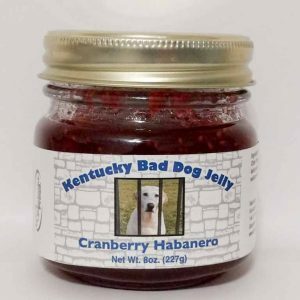 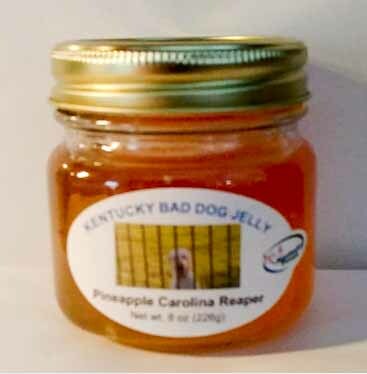 This jelly is one of Kentucky Bad Dog Jelly’s hottest flavors but don’t worry – it’s not too hot to enjoy. 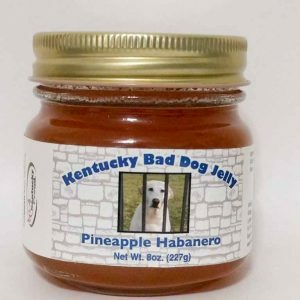 Just like the other pineapple flavors, this one goes great on the grill and as a wing sauce. 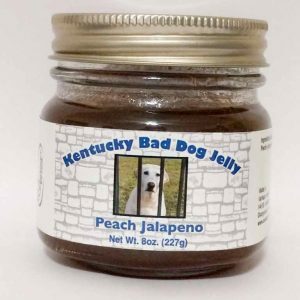 Rich flavor with a little more zing.